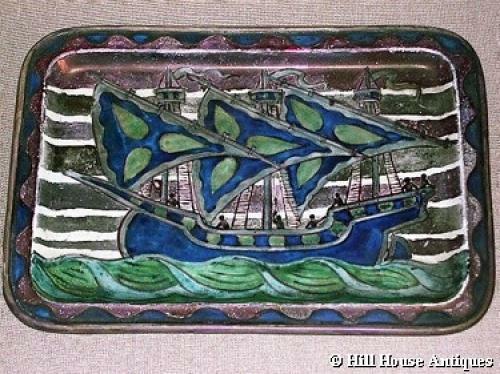 A superb and quite rare arts & crafts ceramic lustre glazed painted pottery dish by John Pearson c1900. Superb drawn in his inimitable freehand style with typical arts & crafts galleon motif to front and equally well painted with fish to back. Very William de Morgan (Pearson did train with him in the early years). Painted monogramme verso.